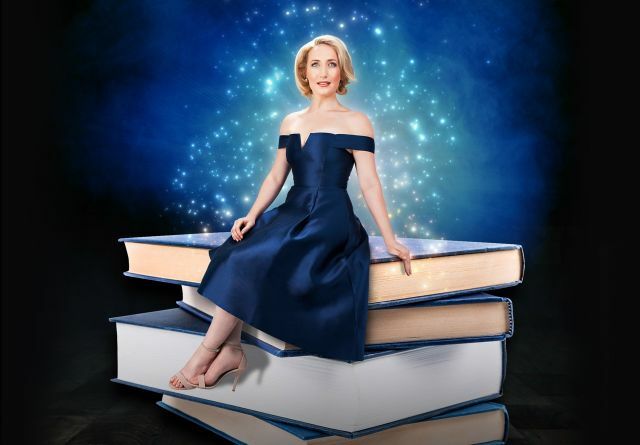 Inspired by her award-winning run in acclaimed musical Matilda, singing actress Elise McCann explores musical works inspired by the wickedly imaginative mind of author Roald Dahl. 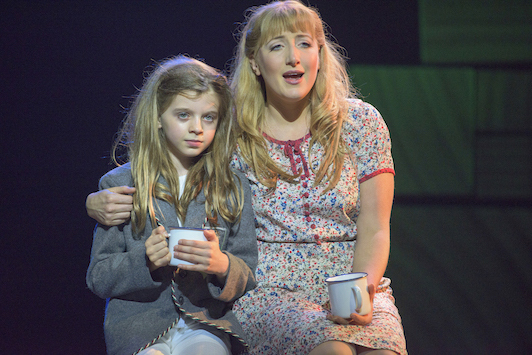 For her role as dear Miss Honey in the Australian premiere of Matilda, McCann won a 2015 Sydney Theatre award and a 2016 Helpmann Award. 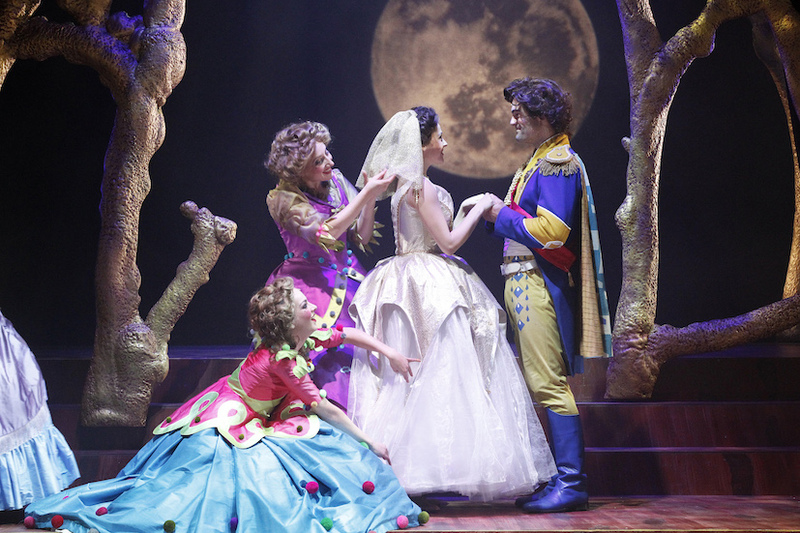 The long run in Matilda came after an eclectic series of credits in musical theatre, cabaret and television, including Into the Woods (below, Victorian Opera), Peter Allen – Not The Boy Next Door (Seven Network) and one-woman hit Everybody Loves Lucy. Growing up in a family that loved reading, McCann was well place to rediscover the works of Dahl. In addition to Tim Minchin’s ingenious songs for Matilda, and the beloved songs for the movie Willy Wonka and the Chocolate Factory, McCann selected songs from hit London musical Charlie and the Chocolate Factory (with a score by Marc Shaiman and Scott Wittman, composers of Broadway hit Hairspray) and James and the Giant Peach (written by current hit-makers Benj Pasek and Justin Paul of La La Land and Dear Evan Hansen fame). Taking on songs written for both sexes and all ages, along with a couple of arrangements written especially for this project, McCann demonstrates her distinctive talent for crisp, compelling story telling. Accompanied by a generously sized band of musicians, McCann’s vocals soar effortlessly from mid-range chest voice to lusicious soprano head voice. The quality of her voice is characterised by perfect pitch; every note is is sung at the very centre of its pitch, to dazzling effect. The listener is welcomed and drawn in with opening track “It Must Be Believed To Be Seen,” from Charlie and the Chocolate Factory. Each of the Oompa Loompa’s deliciously malevolent verses from Willy Wonka and the Chocolate Factory is joined together in “Oompa Loompa.” The song is given a seductive torch song treatment in which the sweetness of McCann’s delivery is in deliberate contrast to the sting of the scolding lyrics. The songs from James and the Giant Peach are beautiful discoveries. “Everywhere That You Are” has a music-box like accompaniment and a soaring vocal line. Sung by James in act one, “Middle of A Moment” is a truly gorgeous ballad in the grand tradition of Menken & Ashman and Boublil & Schönberg. An additional treat on the physical CD is a pair of numbers by musical director Stephen Amos, who also wrote the arrangements for the album and conducted the band. “Little Red Riding Hood & The Wolf” and “Three Little Pigs” are not only terrific compositions in their own right, but also give McCann the chance to savour Dahl’s devilishly twisted Revolting Rhymes. From Matilda, McCann records her character’s lovely song “My House,” in which Miss Honey finally shares the inner thoughts of her private life, along with a pair of songs written for other characters. Matilda’s cheeky lament “Naughty” is given a fresh, sweet arrangement, and the delightful lyrics are sung with sterling clarity. While it is initially a little jarring to hear Miss Trunchbull’s act two showstopper “The Smell of Rebellion” sung by an actual female, McCann sells the devilishness message with such gleeful élan that it soon becomes irresistible. The intriguing quality of the lyrics, and McCann’s pristine delivery of them, distinguishes Dahlesque from similar albums of musical theatre selections. Fans of both musical theatre and modern literature will find much to enjoy on Dahlesque. 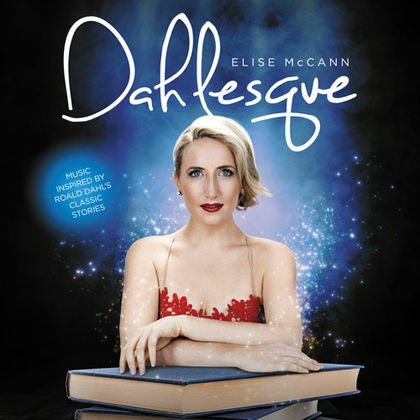 Elise McCann Dahlesque is now available.